ChildCare Education Institute (CCEI) is an Approved Entity through the North Carolina Division of Child Development. As such, most coursework offered by CCEI is accepted by the North Carolina Division of Child Development to meet annual in-service training requirements. CCEI Professional Development courses which are 0.5 CEUs or higher may be used to renew the North Carolina Early Educator Certification. For additional information regarding the approval of CCEI’s coursework in North Carolina please visit http://ncchildcare.dhhs.state.nc.us/providers/pv_inservicetraining.asp or contact the North Carolina Division of Child Development at 919.662.4567. CUR105: Infant Care cannot be used to meet North Carolina Rule 10A NCAC 09.0707(f) and .1705(b)(4), but can be used to meet regular in-service training hours. 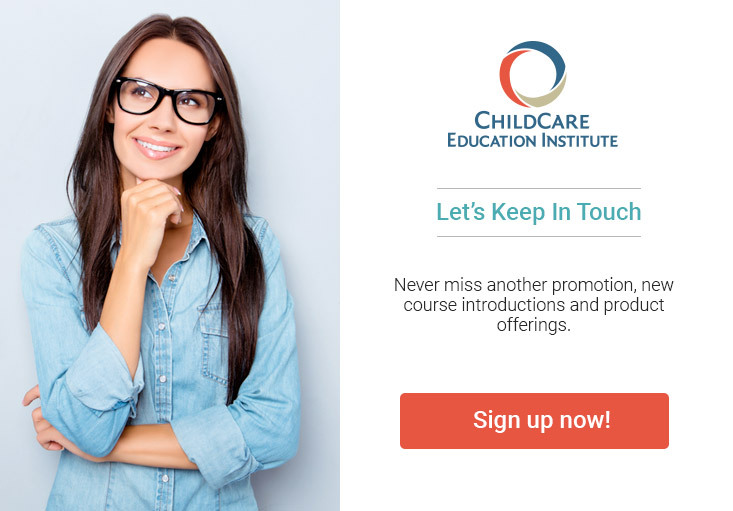 CCEI680A: Orientation to Child Care: Roles and Responsibilities of Teachers may not be used to meet the required orientation hours in North Carolina Rule 10A NCAC 09.0707(a), but can be used to meet regular in-service training hours. CCEI117: Sudden Infant Death Syndrome is not approved for in-service hours for NC staff. North Carolina has specific rules regarding SIDS and the training must be presented in person by specially trained presenters. CCEI110B: Outdoor Safety in the Early Childhood Setting is approved and may be used for professional development. It may not be used to meet NC state rule 10A NCAC 09.0705(e). This rule refers to a four (4) hour playground safety course that CCEI is not approved to offer at this time.